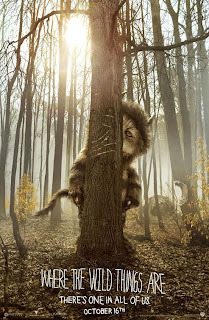 Where The Wild Things Are: I've started to read some mediocre reviews for Spike Jonze's marvelous family picture, and as I tweeted yesterday, with only a modicum of smarmy hyperbole, they are soulless monsters, incapable of joy. It's an absolute must-see, for intelligent moviegoers of all ages. The Stepfather: Hey, you'll never believe this, but they took a resonably well-respected horror thriller from the 1980s and remade it, but softened it to a PG-13. I know, revolutionary, right? Well, you might be surprised to hear that it's not very good. Law Abiding Citizen: I can't even measure my disinterest in this one, though Movieline has a piece on it that floats some interesting theories about its (perhaps uninentional) political overtones. New York, I Love You: Ebert, in his three-star review, says in one line what I don't quite manage to get across in my entire review: "Inevitably, the film is a jumble sale, but you can make some nice discoveries." Black Dynamite: Every review I've read today (including Ebert's, Movieline's, and AV Club's) has been wild about Scott Sanders' blaxpoitation parody, but I just don't see it; I've seen a shitload of blaxpoitation movies, and some decent parodies of them (I'm Gonna Git You Sucka leaps to mind), but this one is flaccid and rudderless, as well-made as it might be.